- Snugg logo pressed into the rear corner. - Adds little weight to your iPhone 5. - Tailored to fit around cameras, buttons and switches. Our alternative to our regular iPhone 5 PC Ultra Thin Cases. This quirky case has a full back created from real bamboo, while still retaining the great attributes of the hard PC case. These include resilience against scratches, bumps and scrapes. 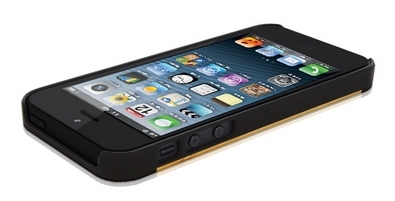 It protects the delicate corners and edges of your iPhone. This white variation of our case is easy to clip onto your iPhone 5, providing an ultra slim, light weight second skin with tailored cut-outs. iPhone 5 ports, cameras, buttons and speakers are all easy to access with our Guaranteed Snugg Fit. 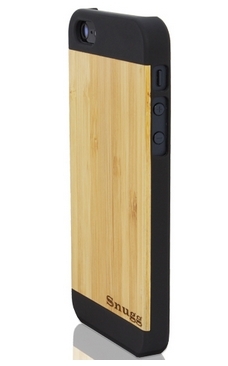 Our logo is pressed into the rear of the bamboo and really adds a different finish and feel to the case. Bamboo was selected because of its distinctive look and the hugely sustainable nature it offers as a material. Compared to other bamboo cases that I have used, The Snugg case feels slimmer and lighter in my hand and because the bamboo part is one solid piece unlike other ones that have a round hole or a seam, the case is better adapted to my hand and much more comfortable. Also the thin bamboo mimics the texture of the original aluminum back very well; I sometimes forget that I have a case on my phone. As much as I like the feel of wood, most cases that are made entirely from bamboo make the phone look like a furniture or an old radio. But Snugg struck right balance between organic feel and its looks with black polycarbonate finishing around the bamboo plate. The black carbonate does not feel plasticy at all and matte finish looks much better than in picture. It also complements the real bamboo part seamlessly, covering all four corners and slightly raised on its sides for protection. The case is available in black and white, but even the black case looks great on my white iPhone, and I can only imagine how well it will match a black one. 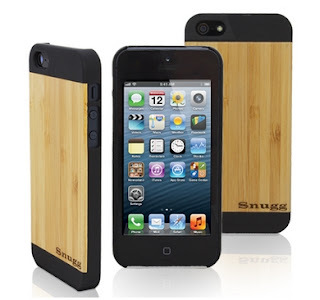 Overall, The Snugg White PC Case with real Bamboo rear for iPhone 5 is a fantastic product. Having used Bamboo Cases before, I can say that this is by far my favorite case. 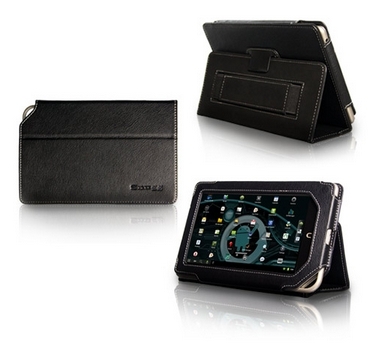 It's light, chic and offers a really good protection for your device. I'd definitely recommend it to all my friends and blog followers. If you're looking for a reasonably priced, quality product, The Snugg is the company for you. 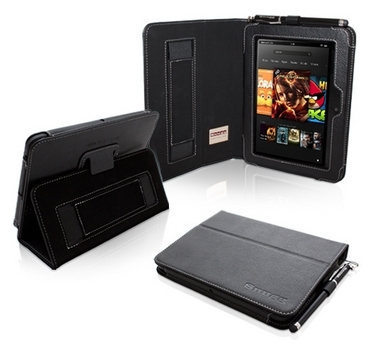 Snugg Amazon Kindle Fire HD 7in Case Cover and Flip Stand in Black Leather- click on the image to go to the site! And the best part? They also offer a variety of other products, in different styles, colors and made from different materials (leather, silicone, bamboo, etc..) for devices such as Kindle or Nook readers, iPads and dozens more! Be sure to check them out and don't think twice before giving it a try! You won't regret! Snugg Nook Case and Flip Stand -click on the image to visit the site! Disclaimer: I have received a complimentary product sample for this review. The review was written by my husband, Jaesung (the primary iPhone5 user). All views and opinions are his and truthful.